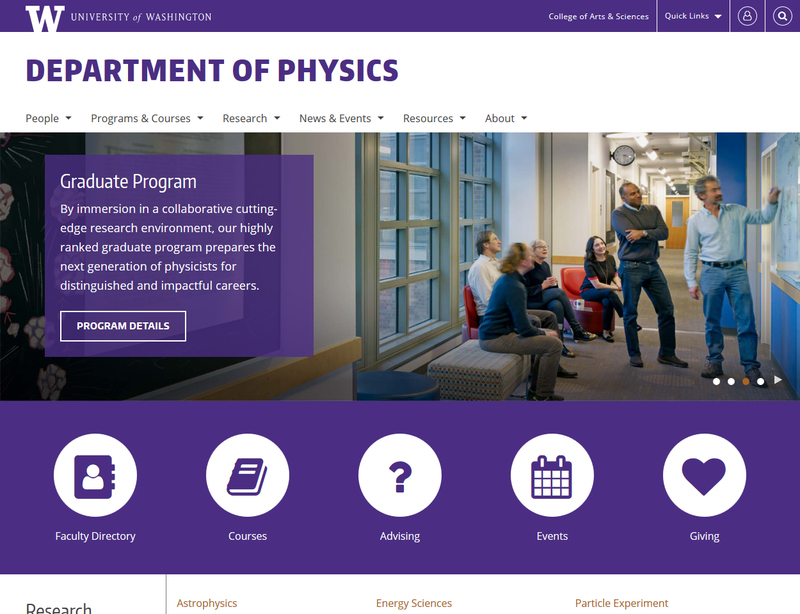 UW Department of Physics | Heather Wozniak, Ph.D. The 31st site to launch in our series of Department Web Framework sites at the University of Washington College of Arts and Sciences. We migrated their site from Sharepoint to our platform in less than three months. I managed the entire project, planned the navigation and information architecture with the clients, migrated all the content, configured the site, and performed all the frontend and backend development. actively maintained; client responsible for content.